I bought a Little Red Campfire to use at a campground on the Outer Banks last summer. It worked great, and we were very glad we had it. 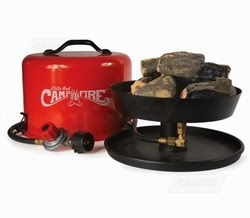 We don't use it every trip, but are happy to have it when an open fire isn't an option.